The DC-15A is a Rod mounting kit for use with our VL-DC5 and VL-DC5X Power Distribution Boxes. 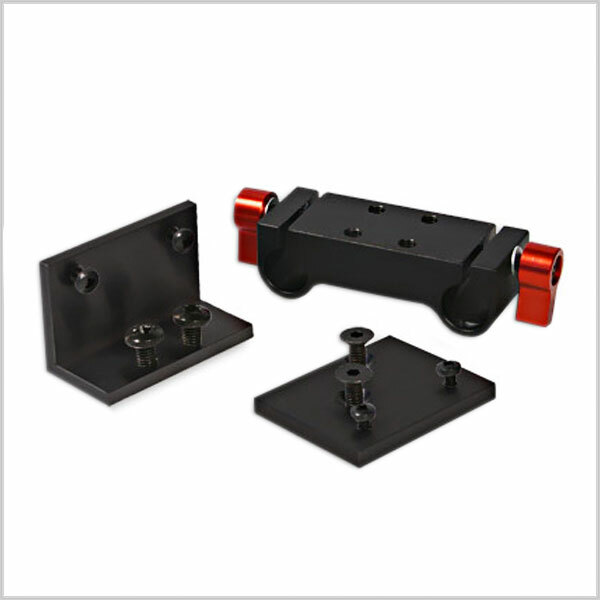 The kit features a 15mm (60mm pitch) rod clamp and two attaching plates. These screw fitting plates allow the VL-DC adaptors to be mounted horizontally or vertically on the Rods, depending on the users preference.